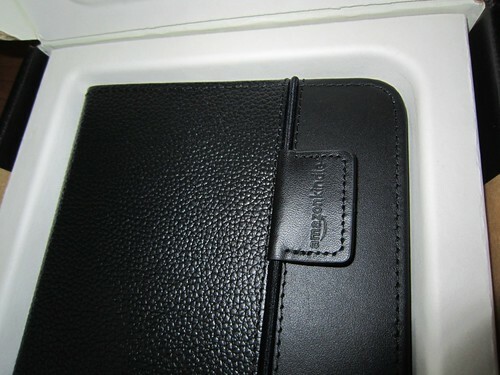 Check out the unboxing photos of my new Kindle Lighted leather cover. After I shipped my Kindle to India, I was impressed by many best Kindle covers and best Kindle reading lights, so I decided to get the best of both in one case. 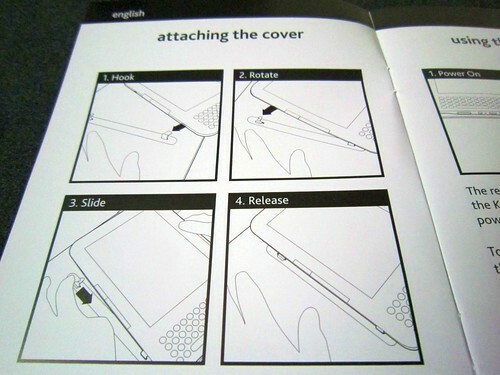 Firstly, I chose the Kindle lighted cover because its the official Kindle cover case recommended by Amazon. So I thought Kindle will fit well with the original case, though it was a little more expensive than other Kindle cases there. 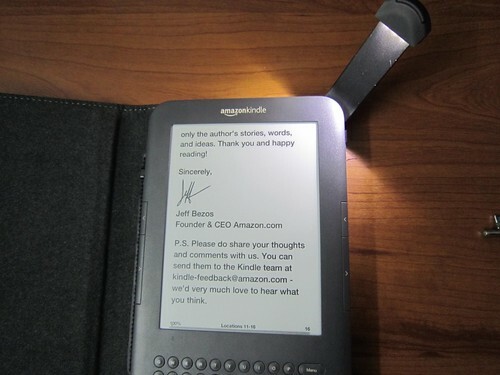 Secondly, the Kindle lighted cover with the retractable LED reading light (which grabs power from the Kindle!) 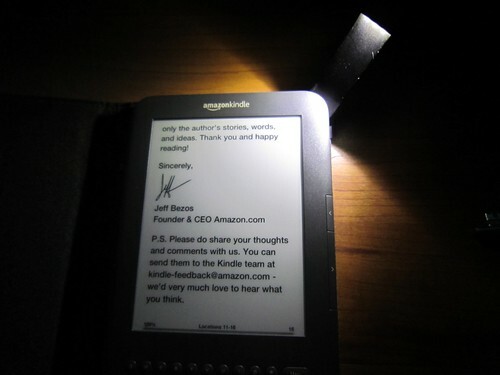 removed the need to carry and install a Kindle reading light everytime you need it. 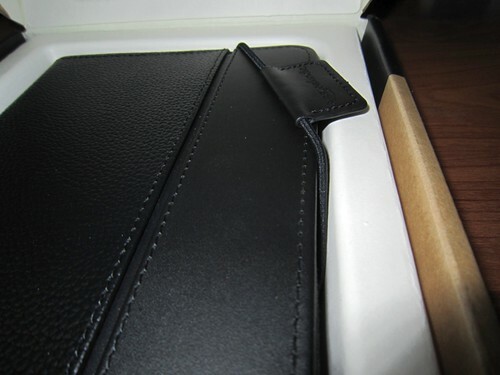 I chose black Kindle color because it seemed to blend well with my graphite colored Kindle. You might also like the Burgundy cover which was my second choice, which also looks very nice and attractive. 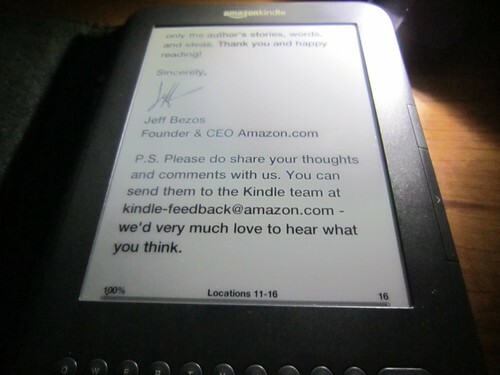 I hope you didnt miss my Kindle unboxing photos. Now get a look at my new Kindle cover. The same frustation free packing. Excellent quality Kindle cover. 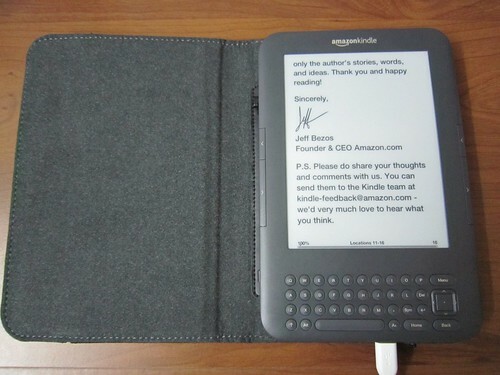 Amazon Kindle is boldly embossed on the band. The official seal. 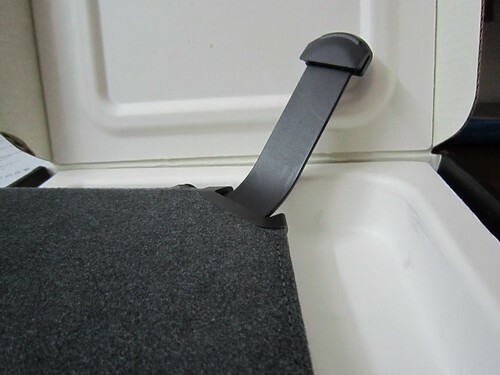 The sling band pulls away easily to open the cover. Seems a little delicate at first, but then you get used to it. I guess you should not pull it more than needed. When you open the cover, a nice soft suede feel is there. An instruction manual is inside. 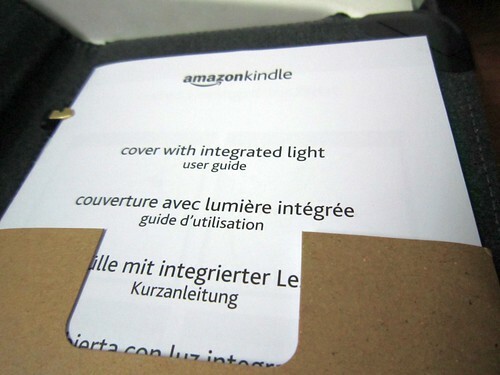 Kindle Cover with integrated light – a users manual. The booklight easily slides through on the top right corner with a click. 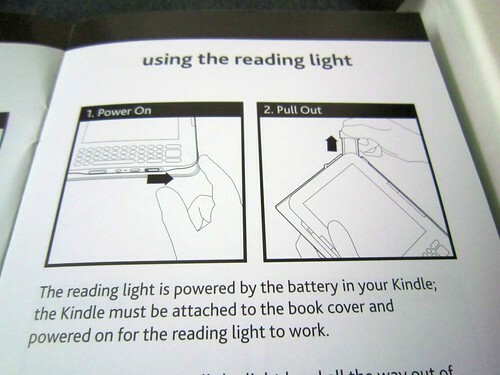 User instructions on how to fit the Kindle to the case, such that the Kindle can also supply power to the Kindle light. No batteries needed. Well it is slightly bulky now, especially since the Kindle was so light and thin. 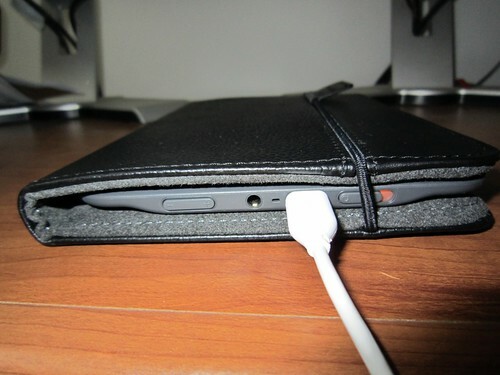 But you can charge with the case. Thats good. Some glare with a lot of tilt. But easy reading when you hold it correctly. 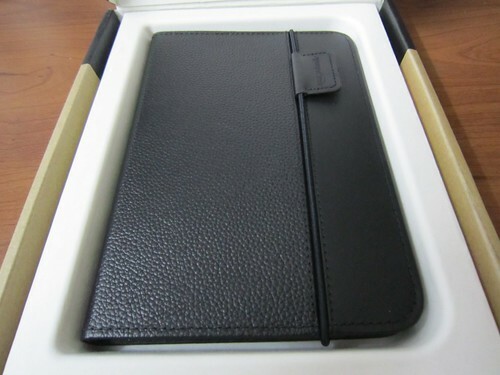 You can also buy the same Kindle Lighted leather cover from Amazon. 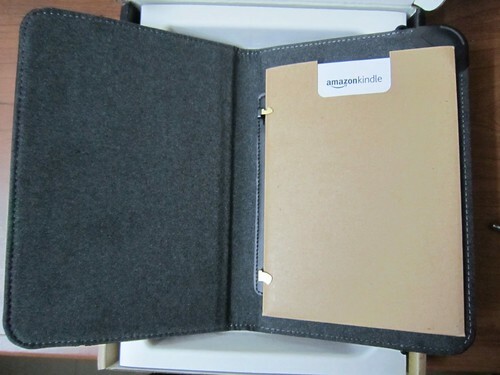 So how much did it cost me to ship Kindle cover to India? Much more than I would have wished for. The $59.99 Kindle cover cost me $106.13 to ship to India with $20.98 Shipping fee and $25.16 import duty fees. But it was worth it.